Imagine you are working on your Mac and realize that you have received an email attachment that can only be opened through a Windows program. What will you do? Well, in many cases, depending on the type of file, you can do nothing. What if you read some great software, but only discover it for Windows? To surrender? No …there is hope. Out of the 60 million Mac users today, there is a great deal who need to also use Windows. This may be for several reasons; some people need to use professional programs like Accounting or Logistics software that are only compatible with Windows computers while enjoying the features of their Mac: talk about dual booting multiple operating systems on their computers or using the Apple approved Bootcamp. Bootcamp is a free utility which comes pre-installed when you buy a Mac. 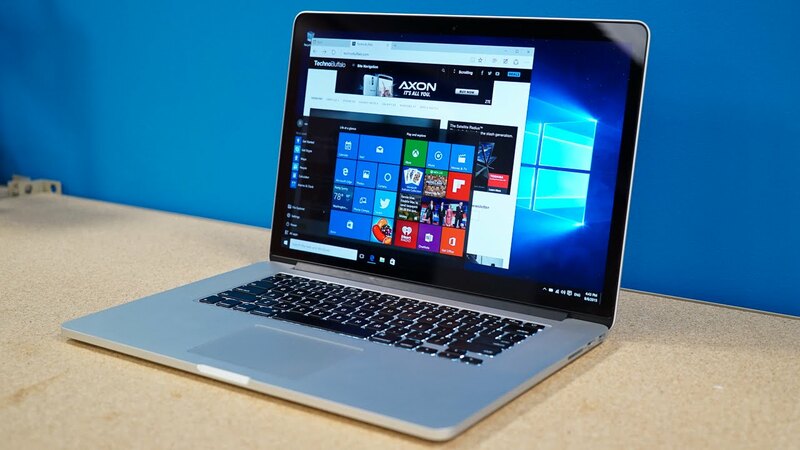 In a few words, you can install a Windows 10 Home or Pro edition with the help of Bootcamp, provided there is at least 64GB of free space in your hard drive. To interchange between the two OSs you need to restart! Every time! Trust me, you really don’t want to forget completing a task in one OS and changing to the other, cause you can’t go back with just pressing a button. You will have to get used to spending a lot of time rebooting between the two Oss. What about a software which gives you the ability to interchange between Mac and Windows without waiting, or better, to work in both OSs at the same time? No need to reboot at all. Obviously, Bootcamp users haven’t heard of Parallels software for OS X. Parallels Desktop lets you run Windows in OS X as your own window. This software lets you continue to use all the great features of OS X. You can also run the required Windows applications in your own dedicated window simultaneously. The rest of the software products, paid or free, force the user to restart the computer each time they want to use OS X or Windows. This can be a problem and take a lot of time when you have to change from side to side. With Parallels, you can perform all your tasks under OS X, and then simply open the Parallels window to use your Windows programs. It is a complete virtualization solution for running multiple operating systems without rebooting. Parallels does not require a restart, shutdown, or downtime during the change. Windows always runs in the background when Parallels is open, which makes it easier to access. In addition, you can also exchange files from one operating system to another. Parallels is simply the best virtualization and automation software solution for all Mac users who want to use Windows without having to buy a separate computer. However, it is not cheap; its simple version comes with a $79 price tag. Discount coupons and other offers are occasionally available here and here. CrossOver is a Windows emulator for Mac OS X that lets you use a variety of Windows programs on your Mac. It is available for Mac OS 10.5 or later on a Mac with an Intel x86 processor. If you meet the requirements, however, it is a very simple option. The CrossOver program exists on your Mac and when you insert compatible Windows software discs or download Windows programs from the Internet, it recognizes and installs them easily. VirtualBox is a free open source program that provides virtual machines to run different operating systems on your Mac OS. Although it’s free, you’ll need to buy a Windows operating system in addition to apps or programs. (If you want to run a free operating system in VirtualBox, see the resources below). Unfortunately, VirtualBox is only compatible with Intel Mac. WineBottler is an open source program that lets you run some Windows applications on your Mac, again compatible only with Intel Macs. This method may be a bit false, but on the website you should find all the information needed to launch some programs.